I hope you don't mind mini-reviews today. I have fallen behind on my review-writing at the same time that I've been reading loads more than normal. 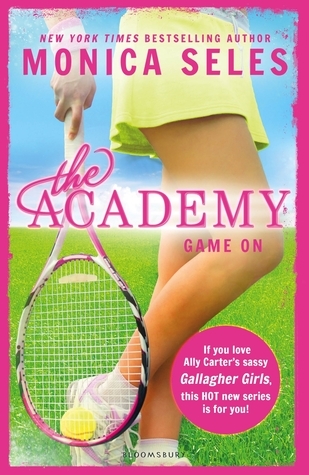 Here are some of my thoughts on The Academy: Game On by Monica Seles, Through Dead Eyes by Chris Priestley and Dare You To by Katie McGarry! Game On is this first book for teenagers by professional tennis player, Monica Seles. In it, she writes of this well-respected and hard to get into sports academy for young athletes of every kind. At the Academy, they will have the best equipment and training and coaches that money can buy. And they have plenty of opportunities to make a success of themselves, if only they can navigate the bitchiness and competitiveness of the other students there. I did find the first two thirds of the book to be slightly slow-going. There seemed to be a lot of detail and build-up towards something dramatic happening but that doesn't happen until very near the end. 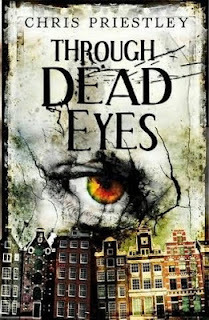 I did really enjoy the fact that the conclusion to this story was very unexpected and came as a bit of a surprise! I really loved Dare You To by Katie McGarry. I had my doubts though! I didn't think it would possible to love another couple as much as I did Echo and Noah and I worried before picking up Dare You To that I might not warm to Beth as much as I did with Echo. I needn't have worried. 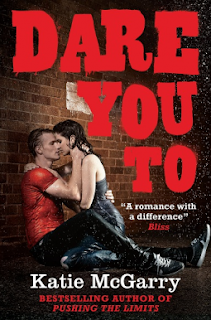 Dare You To is wonderfully romantic and addictive reading. And while Beth does come across in Pushing the Limits has being a bit hard and intimidating, you can tell right from the start of Dare You To how vulnerable and a bit broken she really is. This was a very emotional book for me to read, especially considering Beth's homelife. Protecting her mother's drunken behaviour and her relationship with an abusive boyfriend at all costs means that Beth suffers a great deal. And because of the latest horrifying and illegal espisode, Beth is sent off to live with Beth's estranged uncle and his wife. There's plenty of history between Beth and her uncle and I really loved exploring this complicated relationship. And then there's Ryan. I have to say, I eye-rolled my way through the whole dare thing that weaves its way around this entire story but I did very much love Beth and Ryan together. Their relationship is super-charged with feeling and tension and when things finally did happen between them, I instantly cheered. Even though, like most of us Katie McGarry fans, we were still probably hoping that there may be some possible connection still between Beth and Isaiah... I'm really glad that Isaiah will be getting his own story because man, if ever there was a person who needed a happy ending, it's Isaiah! What have been reading lately? Any of these three books? I'm so looking forward to getting stuck into Dare You To as I loved Pushing the Limits! It's a great book though! I didn't love it quite as much as Pushing the Limits, but it was still pretty good!